Why sacrifice comfort for performance? 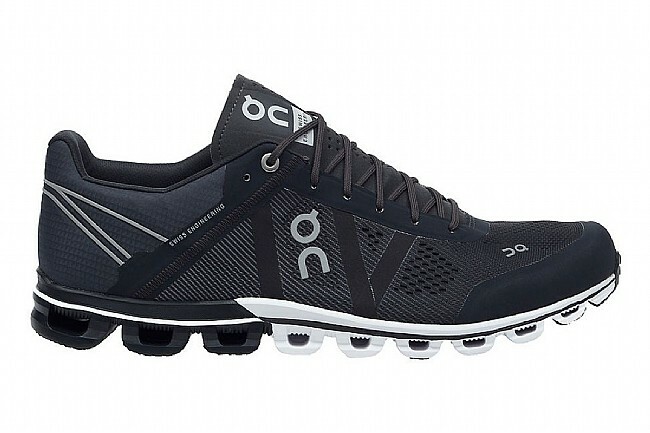 That's the question that On Running asked themselves when they started designing the Cloudflow, and the result is a shoe that fits impeccably and keeps you feeling good mile after mile, run after run. Featuring an expertly engineered upper and a cloudlike Zero-Gravity foam sole, the Cloudflow propels this shoe into the next generation of performance running footwear. Constructed from On Running's next-generation engineered mesh, the upper of the Cloudflow truly does deliver cloud-like comfort. This adaptive mesh uses the latest in weave technology to optimally blend breathability with support, and is finished with an antimicrobial treatment to keep feet feeling fresh, run after run, season after season. 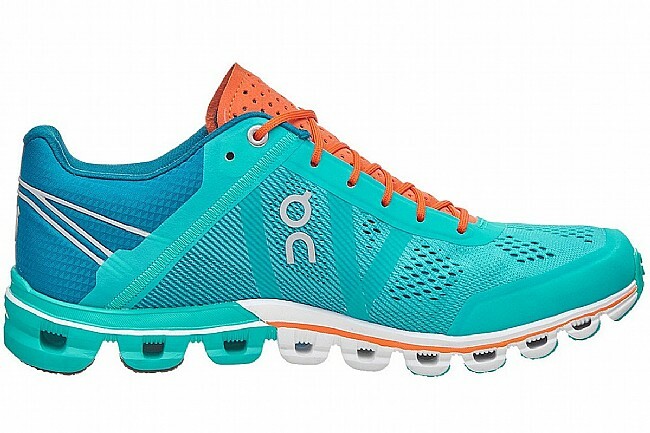 Inside, the Cloudflow features a built-in sock-liner, meaning this shoe brings a new level of comfort to the world of performance running shoes. Down below, eighteen independent Clouds cushion each and every step. 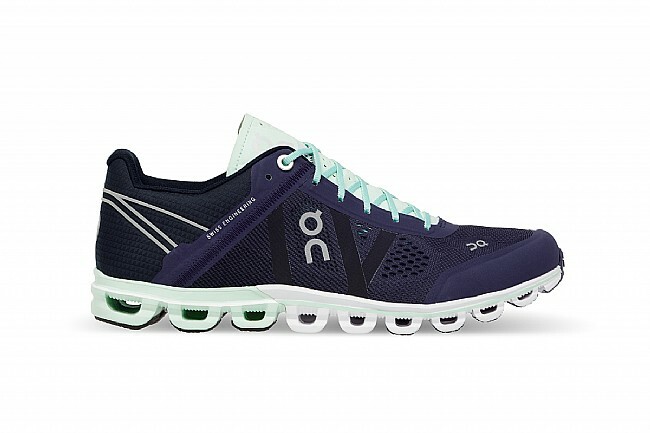 Constructed with On Running's unique Zero-Gravity EVA foam, the Cloudflow offers lightweight comfort and support that will keep you feeling fresh on mile 20. With their patented Speedboard tread pattern at the ball and toe, the Cloudflow provides a responsive flex that encourages the natural rolling process, resulting in explosive take-offs.